Hard surfaces throughout healthcare facilities can dangerous pathogens for weeks. ACURO's understands how important it is to have the tools needed to achieve proper surface disinfection. Multi-purpose disinfectant cleaner, can be used on hard, non-porous surfaces. 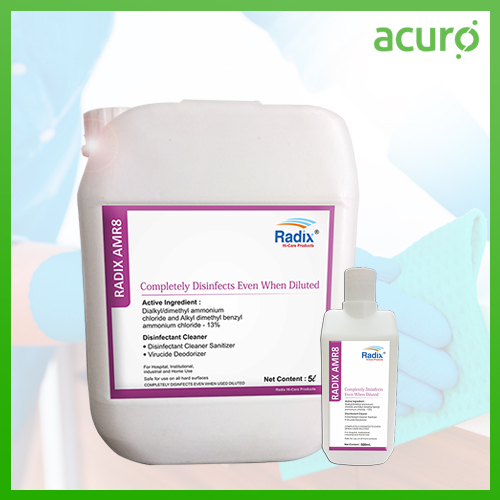 Intended for cleansing and disinfecting on hard surfaces of non-invasive, non-lumened medical devices such as monitors, IV poles, beds, patient trolleys and x-ray equipment.